With this in mind and given the end of 2017 is fast approaching, CMO reached out to a host of marketing leaders, vendors and industry commentators to find out what 2018 holds for digital marketing. Based on those discussions, we’ve put together our top 8 predictions for the New Year, a list that highlights the importance of technology, building consumer trust and authenticity, and tapping ever-more data insight for engagement. There’s no doubt mobile has become core to the digital marketing ecosystem – as a communications channel, support and service mechanism, purchasing tool and more. But according to Forrester’s 2018 mobile predictions, marketers need to put even more emphasis on understanding how next-generation consumers are interacting with brands via these devices in the New Year. The analyst firm claims smartphones are fast assuming the role of ‘central conductor’ across broader digital experiences. To cope, smart firms must continue to invest heavily in the underlying technology – along with architecture, talent and process - to deliver these experiences. For Forrester, the biggest challenge for marketers working on mobile initiatives in 2018 will be striking a balance between improving their basic mobile offerings, such as apps and mobile websites, while pursuing ecosystem strategies that extend beyond apps. Not everyone sees is as a mobile discussion, however. “Mobile customer experience can definitely improve, and it’s easy, unambitious perhaps, to predict mobile-first will be pervasive,” Datarati CEO, Jarther Taylor, comments. Stocard A/NZ country manager, Radinck van Vollenhoven, agrees poor mobile CX affects brand loyalty, perception and adversely impacts revenues. It's not good enough anymore to have an optimised mobile website or app, he says. Managing director of agency Jaywing, Tom Geekie, notes mobile strategy goes way beyond a responsive website, even if it is designed mobile-first. User experience [UX], conversion rate optimisation [CRO] and user journeys are critical, plus search engines reward better mobile experiences, and there is better integration with other technologies such as beacons or AR apps, he says. The multi-platform advertising play is also in the spotlight for Bonzai vice-president of sales, Rupert Pay, in 2018. While programmatic will face challenges like any new technology, he predicts more programmatic formats will emerge, offering a fresh opportunity to engage with customers across multiple devices. “2017 saw the first takeover skins being delivered programmatically,” he says. “2018 will see more programmatic formats, across premium publishers delivering greater viewability at a more realistic, transparent price - all of which is great for the whole ecosystem. But while the world continues to focus on a mobile-first ecosystem, the next wave of customer experiences are set to be voice-first and 2018 is the start of this transformative trends, mobileDEN general manager, Gavin Gorazdowksi, says. Take-up is set to grow rapidly of mobile and voice-enables speakers such as Amazon’s Echo and Google Home in the coming year. Trust between brands and consumers in 2017 was at an all-time low according to Forrester, and not one brand significantly improved its CX index score on the analyst firm’s list from 2016 to 2017. Examining the trust-crisis and speculating how companies will respond next year, marketers will need to win back consumer trust by owning brand value and offering a more personalised, distinct and authentic experience. “I see authentic customer experiences leading the pack when it comes to design and branding in 2018,” co-founder of fintech company Waddle, Leigh Dunsford, says. “Customers are very aware of corporate hogwash and cliché terms repeated within industries, making authentic language and design even more critical as we head into another year of compounding advancements in technology. Unification of knowledge into personalisation will be the top trend for experiential businesses such as retail, hospitality, health and wellbeing, PoweredLocal’s CEO, Michale Jankie, believes. 2018 will be about the catch up to tracking and historical profiling of customers. “Just like websites and apps do now, when you walk into a restaurant for the second time, staff will be expected to remember who you are, what you ordered in the past and if you are a local,” he explains. “Foodora and Quandoo are already nailing this for the ordering and booking markets, while companies like ours and Doshii are going to bridge that gap for instant profiling of customers in-store, in real-time." Marketers today have access to a wealth of data and employ a variety of analytics tools to better understand their customers. But the risk of purely relying on data is that it becomes formulaic, LogRhythm senior regional director for APAC and Japan, Joanne Wong, says. The trend moving forward is personalisation on a mass level. According to Salesforce research, artificial intelligence (AI) use by marketers will grow more than 50 per cent in the next two years. Gartner predicts 20 per cent of all business content will be authored by machines in 2018. Meanwhile, Forrester sees AI as a marketing enabler in 2018, helping further streamline marketing processes and giving rise to the new ‘marketing monitor’ – whose primary responsibility will be vetting technology and automation output to ensure quality customer and brand experiences. “AI in 2018 will be the key to personalisation and see marketing's job change,” VRTY CEO, Kingston Lee-Young, says. “With AI at the forefront, marketers will be better able to understand the likes and dislikes of a customer, determine what specific branded content should be served to that consumer, and track all their interactions through the customer's journey. On top of this, the connected home and continued saturation of mobile devices will see greater growth in the emerging space of voice search, which will provide considerably fewer opportunities to get products and brands in front of consumers when they’re actively looking for something, Jaywing’s Geekie says. Now AI is embedded on some of the major customer engagement platforms, it’s already helping marketers deliver richer, more timely communications, Datarati’s Taylor says. One important way AI can add value is to engage when engagement is wanted, not when a campaign calendar dictates it. Yet while it might seem like advancements in AI are changing marketing for ever, Quantcast CMO, Steven Wolfe Pereira, sees it reconnecting the industry with its roots. “To stay competitive, marketers need to instantly take into account millions of data points and anticipate shifts in consumer demand,” he says. “That’s why AI has the potential to be a powerhouse of growth for brands in 2018. Machines can take on these vast data sets and immediately identify trends that could turn into competitive advantages. Simply put, AI will enable and empower marketers to do their best work yet, Datorama APAC managing director, Mick O’Brien, says. “The value add comes from the ability of AI to elevate insights that were not previously known from within a department’s data assets, freeing up marketing teams to do what they’re best at and actually passionate about, so that better decisions can be made on both strategic and tactical levels,” he says. For Publicis Media chief digital and technology officer, Jason Tonelli, the big shift is accelerating how data is accessed, allowing decisions to be made faster and experiences to be created that are richer. “So the enabler to ML and AI – data warehousing and cloud computing – will shape 2018 to be a year whereby the right message or experience can be presented to the right person with more accuracy and better human understanding than ever before,” he says. Want to see how things stacked up against the predictions in 2017? 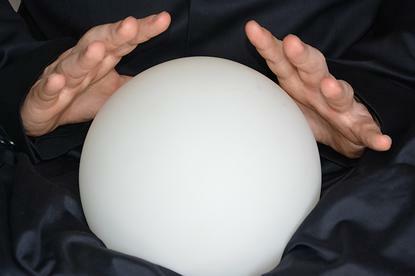 Check out our round-up of 17 predictions for digital marketing here. Experts agree the best loyalty programs are not about discounts, advocacy or loyalty, but about gathering data about consumers in order to personalise and upsell. And in 2018, that quest to utilise loyalty-based customer intelligence for action will be an imperative. “While ‘data’ seems to be the default answer to pretty much any marketing question, I do believe those brands that best collect and integrate their often disparate data sources will be the ones that flourish in the loyalty space,” The Works creative partner, Paul Swann, says. “The ability to achieve a more comprehensive view of customers’ current and likely behaviour will enable brands to better personalise offers and messages. As many marketers now realise, getting to this point is no mean feat. Even the more sophisticated brands often still wrestle with making data from different sources work together, let alone applying the learnings at speed and scale. “Therefore, rather than loyalty sitting within one team, increasingly there needs to be a broader loyalty culture instilled throughout the organisations which takes it seriously, with each department needing to understand the role they can play in collecting data and activating the insights that are derived from it,” Swann says. Geekie points out brand advocacy stems from an emotional connection to a brand and its products that goes far beyond points and rewards. Mobecom CEO, Neil Joseph, believes the future should be focused on millennial loyalty, because they are the advocates of the future. While willing to give their data to brand owners, managers of loyalty programs will need to rethink how they actually use this data because millennials expect to be valued beyond just a simple transaction, he says. The future of loyalty programs as we move into 2018 will be about rewarding behaviour, transacted over an agnostic platform that’s not actually led by brands, Unlockd global chief creative officer, JC Oliver, predicts. To achieve this, MullenLowe Profero head of product for ECD, Ashadi Hopper, predicts 2018 will see partnership of loyalty programs with blockchain technology, opening up significant opportunities for marketers in Australia. “We believe traditional points-based loyalty schemes are ripe for transformation using blockchain or digital currency,” he says. “Australia leads the world in cashless payments, and we’ve also got a number of latent loyalty programs so the opportunity is significant.